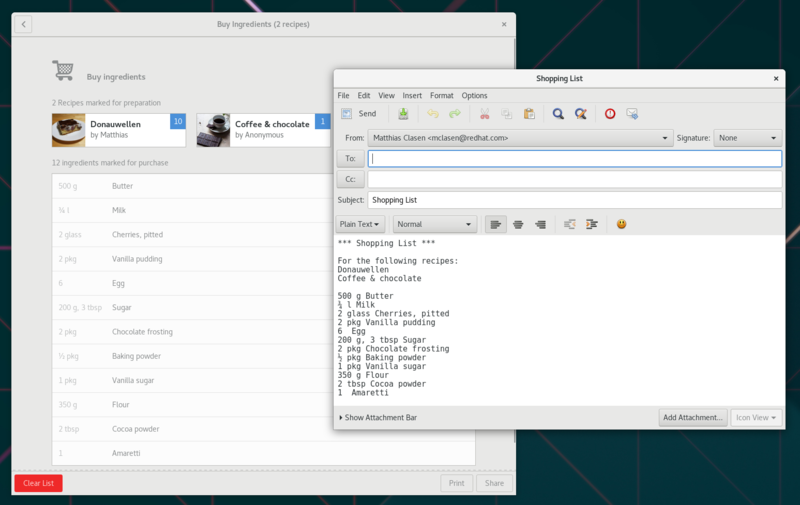 Since I last wrote about GNOME recipes, we’ve mainly focused on completing our feature set for 3.24. 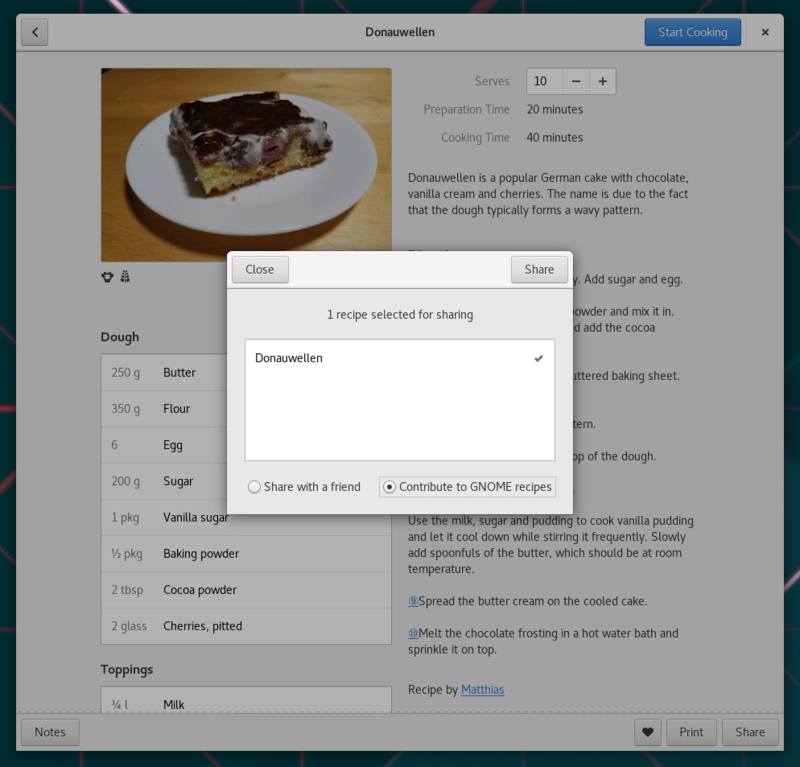 Since the Share button has replaced the Export button, contributing your recipes is now easier too: Just choose the “Contribute” option and send the recipe to the new recipes-list@gnome.org mailing list. While working on this, it suddenly dawned on my why I may have seen some recipe contributions in bugzilla that where missing attachments: bugzilla has a limit for the sizes of attachments it allows, and recipes with photos may hit this limit. So, if you’ve tried to contributed a recipe via bugzilla, and ran into this problem, please send your recipe to recipes-list@gnome.org instead. Original article title: Matthias Clasen: Recipes by mail. 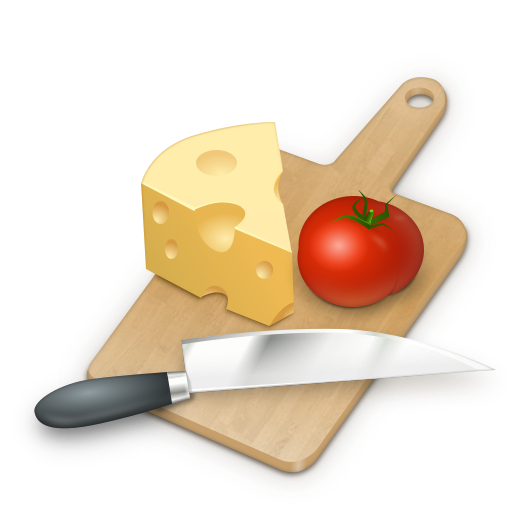 This full article can be read at: Matthias Clasen: Recipes by mail. Fabian Deutsch: That thing that makes KubeVirt a little different – or the Kubernetes virtualization API. mythcat: Valkyrie – one year.